Roc A By Denali found her forever home with Julie and Adrienne in Wyoming. They met us a the Mini Heart Expo and fell in love with the breed. Adrienne has named her Denali Chase Berry after her math teacher, Ms Berry! 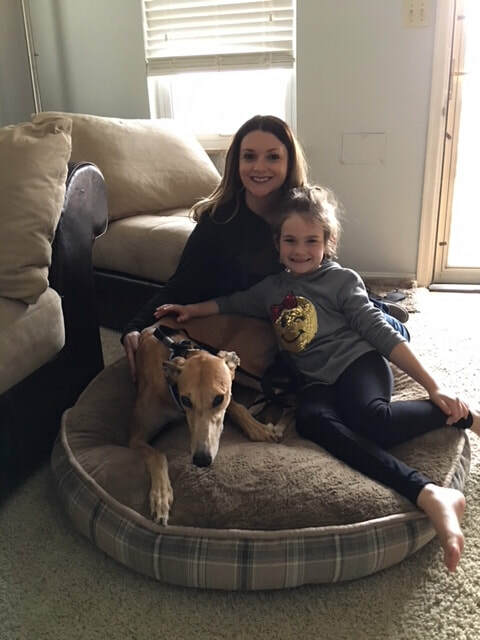 Denali walked into her forever home with tail wagging and enjoyed the attention. She met Phil, one of their cats, Jake wasn't up to the visit and neither one wanted in the family photo.